Step 1 Blend all the ingredients in a high-speed blender until smooth. Step 2 Serve and enjoy! 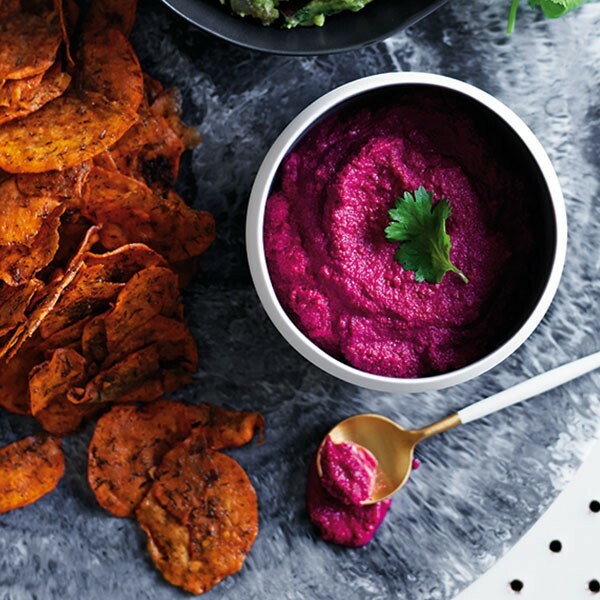 This raw, vegan beetroot dip is a pretty addition to a meze plate, and delicious dolloped over salads and wraps.